Have this malaysian hair bundles for 6 months, I cut it, restyled it, bleached and dyed it. It stays so beautiful. I love it so much, so I want to renew it. Here are some of my honest review-By LisaOfficiallyLive And we will also tell you how to refresh your old weaves. Today she came back with a six months of date of this malaysain curly hair that she is rocking out hide this hair for six months.She wear at first for a month and then she come out were off and on she decided to bring it back to life today and give you guys an update so yes been six months and the truth in the hair is fabulous it still has its curl but still manageable well. She feels she can still go at this here maybe another six months or four years if you haven't watched the first review.She didn't repair definitely check it out she will be sending two exceptions also you will see how when we work at first so she went in and cut it put some bleach in it and this is what we have she hope you enjoy this .This is her honest opinion. She made this review just wanted to tell you guys out there because she knows a lot of people including herself always on the lookout for gray and affordable hair so this is definitely one of them.You derseve get better for yourselfs! 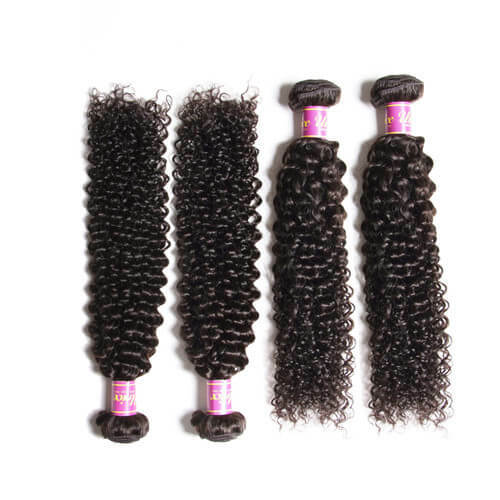 UNice curly weave hair is the top quality natural human hair on the market. Ear to ear lace frontal and 3bundles, 13*4 lace frontal with 4 hair bundles, hair closure with 3 bundle deals, lace closure with 4 bundle deals are available for you with much more favorable price. 1.Always comb your natural hair weaves from the bottom up. 2.Keep your ends trimmed to avoid split ends. 3.Use product "cocktailing" to customize your haircare regimen. 4.Use a wide-tooth comb to detangle your curls, never a brush. 5.Apply a conditioning treatment to your ends when your hair needs a little boost. 6. Use the "pineapple trick" to get defined curls overnight. 7. Use a diffuser to even out your curl pattern and add more body.